A 250-year-old Chinese vase regarded as one of the most complex ever produced could set a new world record at Sotheby’s later this year. The remarkable Yamanaka Reticulated Vase is one of a matching pair, the other of which famously achieved a hammer price of £43 million in the U.K in 2010. The vase will lead Sotheby’s Hong Kong Chinese Works of Art Autumn Sale series, where it will be offered with an estimate of HK$50-$70 million (US$6.4-$9 million). 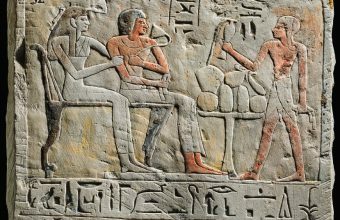 However the rarity, history and provenance of the vase mean the vase is expected to fetch many multiples of that estimate when it hits the block on October 3. The Yamanaka Reticulated Vase was commissioned in the mid-18th century by the Qianlong Emperor, who ruled China from 1736 until 1795. 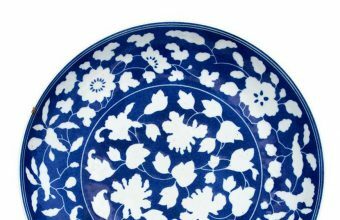 The creative arts in China flourished during his reign, and within the walls of the Forbidden City in Beijing porcelain pieces such as this were treated as grand artworks alongside the finest paintings. The two matching vases were produced under the stewardship of Tang Ying (1682-1756), the creative supervisor of the Imperial kilns, who introduced pioneering techniques and elevated porcelain production to new heights. The intricate and lengthy method of producing these vases, which feature an openwork-side and double-wall design, was so challenging that Tang Ying eventually excused himself from making any more for the Emperor. 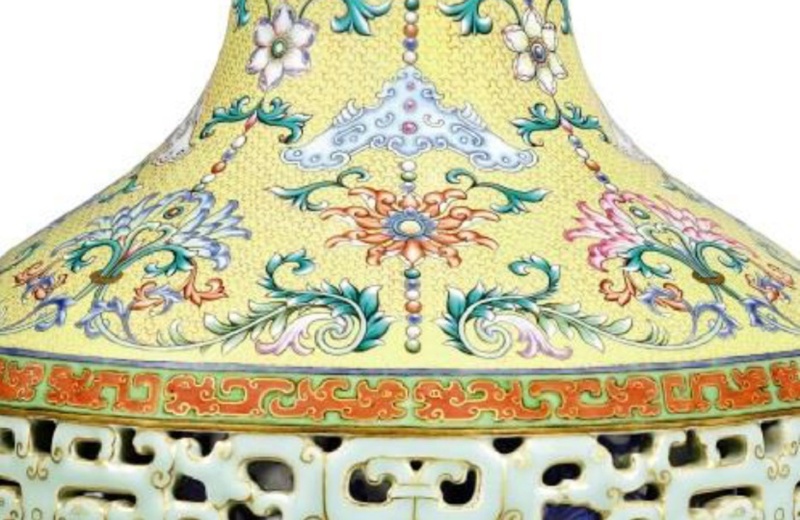 “It is a great privilege for us to offer this Qing reticulated vase from the Imperial collection of the Qianlong Emperor this season,” said Nicolas Chow, Chairman of Sotheby’s Asia. The Yamanaka vase was exhibited in New York in 1905, and was acquired by a Japanese collector in 1924, before disappearing from public view until now. The other vase in the pair was similarly lost until 2010, when it made global headlines after being discovered hidden in an attic during a house clearance in the U.K. 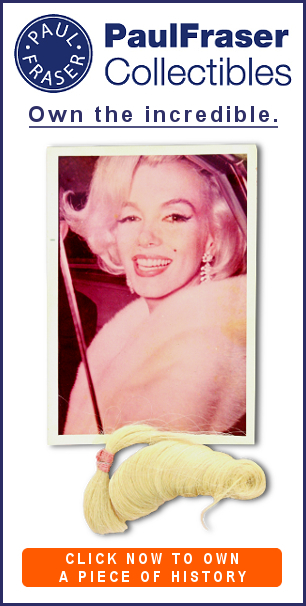 If was found by 84-year-old Gene Johnson and her son Anthony, whilst sorting through the personal effects of her late sister Patricia Newman. According to family legend, the vase had been brought back from China in the 1930s by Patricia’s husband William, and had been gathering dust in the attic for decades. 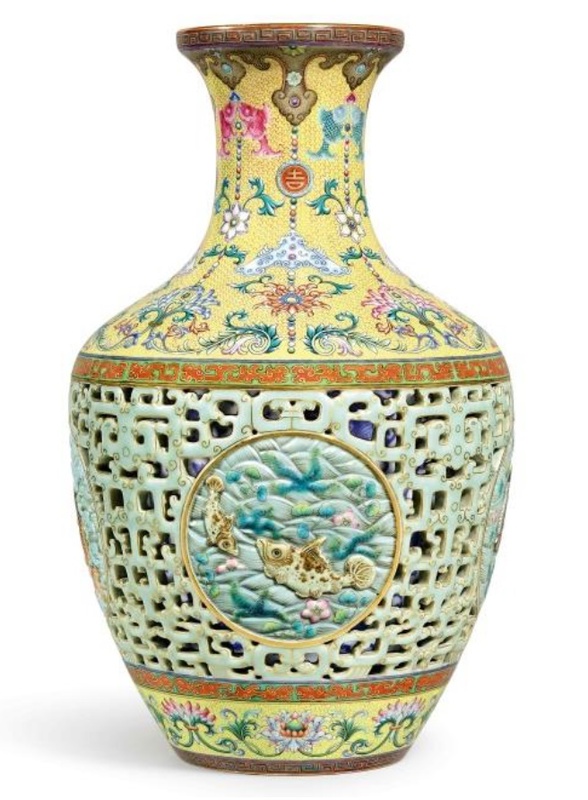 The vase was placed up for sale with the provincial auction house Bainbridge’s, and stunned everyone when it soared to a final price of £53 million, making it the most valuable Chinese artwork ever sold. But the story took a twist when the winning bidder – reportedly one of China’s 10 wealthiest men – refused to pay for the vase, as he was upset about the large sell-on fee due to the auctioneer. The £53 million sale eventually collapsed, but two years later Bonhams negotiated the private sale of the vase to an anonymous collector for a reported price of £20 – £25 million ($22.3 – $27.9 million). 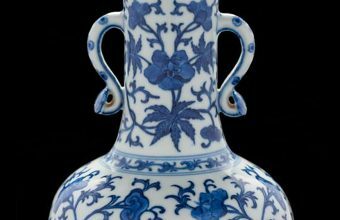 The reappearance of the second vase after almost a century is sure to attract similar attention, and experts believe it could even surpass the current world record price for a piece of Chinese porcelain, set by a 1,000-year-old Song dynasty dish which sold at Sotheby’s in 2017 for $37.6 million.